Our animal parties are suitable for children of all ages and also for adults who may be celebrating a special birthday! We are based in Worcester, West Midlands but do not mind traveling for parties and events. A selection of animals will attend the party some of the following: lizards, (bearded dragons, ornate lizards, Bosc monitor) snakes (corns, boas, pythons) chinchillas, tortoises, baby rabbits, 2 stone giant rabbits, African pygmy hedgehogs, sugar gliders. Every animal is very tame and may be handled by everyone. The birthday boy/girl are always invited to hold the animals first, and parents are given lots of time to take special photographs. The birthday boy/girl will receive a card and present from all of the animals. Experience has shown us that children really do love the Animal parties and even the adults can’t resist such wonderful animals! This party really will be the talk of the school on Monday! Animal parties last approx 1 hour. 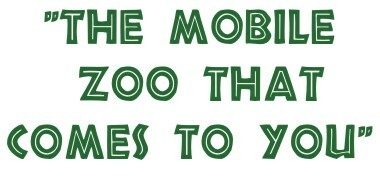 If you would like our mobile zoo to attend for more than an hour please let us know. Reptile Bonanza, Jungle Beat and petting corner are available for longer parties. Why not add a craft activity such as T-shirt painting to your party, always very popular. We can take care of your entire party if you would like us to. Fetes/carnivals/festivals/weddings/corporate events in and around Worcestershire in the West Midlands. 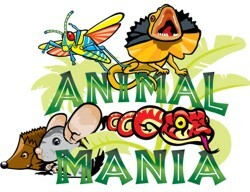 Animal Mania can bring alive your event with our mini zoo. Choose from one of our 3 packages for the ultimate animal experience! We can attend any indoor events, or outdoor in warmer months. We will supply gazebos, tables etc..
Take a trip into the fantastic jungle. Colourful birds, corn snakes, boa constrictors, ornate lizards, tortoises, frogs, tarantulas, African pygmy hedgehogs and creepy crawlies will bring alive the jungle beat. Throughout the day our keepers will talk about these wonderful animals, lots of handling will take place for adults and children with plenty of photo opportunities. Feeding of the animals will also take place and information sheets about the animals will be displayed. We can also provide a face painter to transform the children into their very own jungle animals! 2 - 3 keepers will attend. Petting corner is suitable for all ages and will provide a fun, hands on and educational experience. This may be set up indoors or outdoors in our gazebos. 2 stone Giant rabbits, adorable baby rabbits, Guinea pigs, tortoises, chickens and chinchillas will all be in their own run areas. Throughout the day children and adults of course will have the chance to handle baby rabbits, chinchillas and guinea pigs and also groom them. There will also be animal feeding times and lots of information on how to keep these lovely pets. Our tortoises love a bath and children may also have a go at this! Watch the tortoises have a race who do you think will win? Ferrets may also be walked on their harness and leads by the children along with one of our keepers. Corn snakes and bearded dragons will also be available for handling and photographs. Our face painter can also be booked to make the event extra special. The snakes will start small with one ft baby corns, then 4ft adults, followed by 6ft boa constrictors, 8 ft boa constrictors and a beautiful 12 ft albino Burmese python named Monty. Lots of lizards are also included, lovely red and yellow bearded dragons, stunning lime green and pink lizards and a massive 4ft long and 2ft wide Bosc monitor. As always with our animals the reptiles are so friendly, there will be plenty of handling experience and photo opportunities. Reptile bonanza will also include plenty of bugging around with tarantulas, stick insects, Halloween crabs, cockroaches, giant snails and giant millipedes. We can also supply a face painter. We offer 1 hour sessions for schools, nurseries holiday clubs etc. During the hour 6 -7 animals will be brought along, they are taken from their own pet carriers one at a time. We will tell the children a little bit about each of the animals including what type of animal (reptile, mammal etc), where they originate from, habitat, lifestyle, feeding and defence mechanisms. Every child will then get to touch the animal or hold it if they wish to. Time and time again people comment on what a fantastic hands on experience this is and how they can’t believe how lovely and tame our animals are! This makes Animal Mania visits truly special, unique and enjoyable. We can also offer additional hours if required for a very good price and also all day visits for schools, enabling up to 5 groups to enjoy the experience. Animals included in our visits are: snakes (small and large) lizards, tortoises, chinchillas, African Pygmy Hedgehogs, Sugar Gliders, ferrets, 2 stone giant rabbits and baby rabbits. For all day events we can also bring a variety of mini beasts including: giant African land snails, Giant African millipedes, cockroaches, giant stick insects, locusts, hoppers, Tarantulas, and Halloween crabs. A selection of bugs are also available to hire for schools, studying mini beasts. One to two keepers will attend depending on time required and group size.